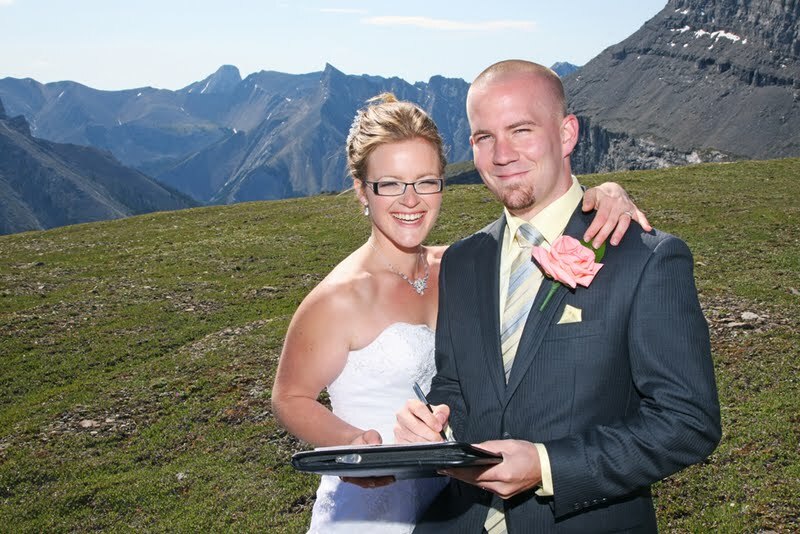 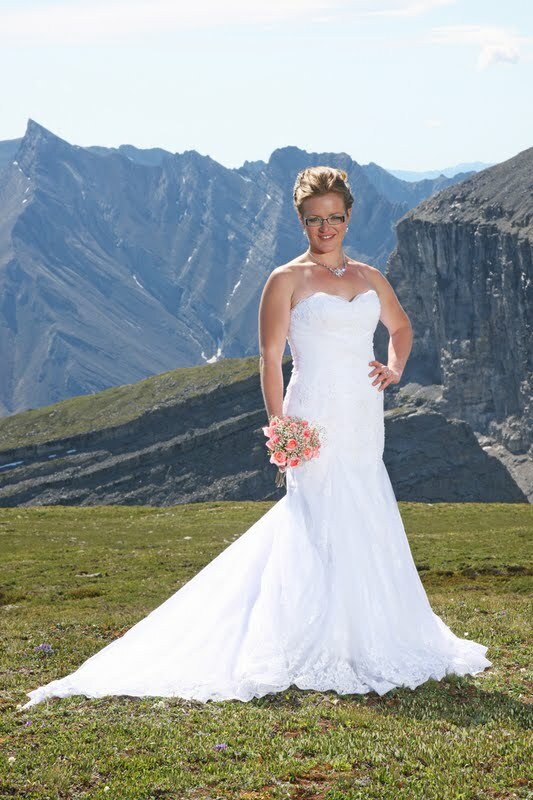 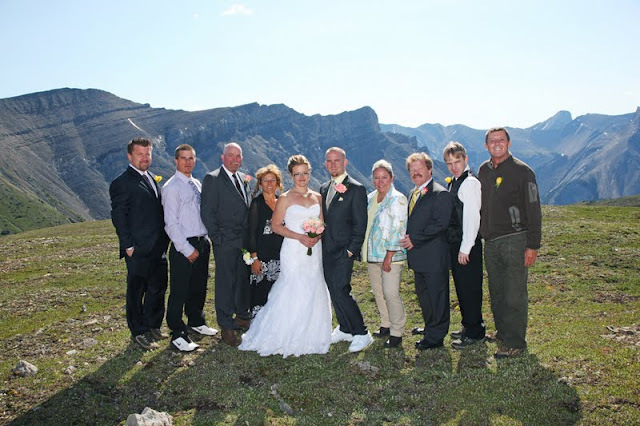 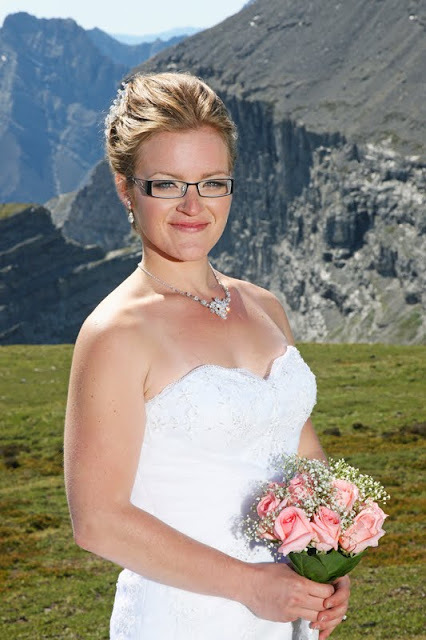 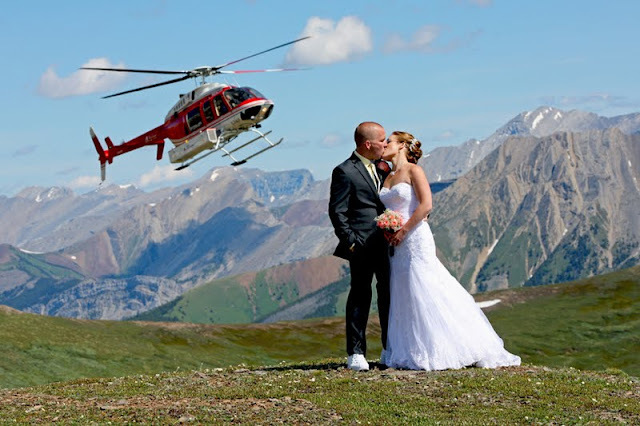 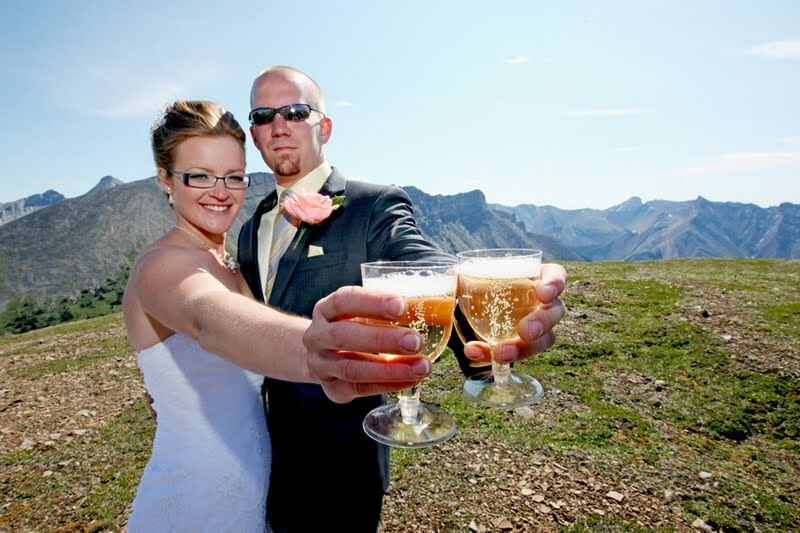 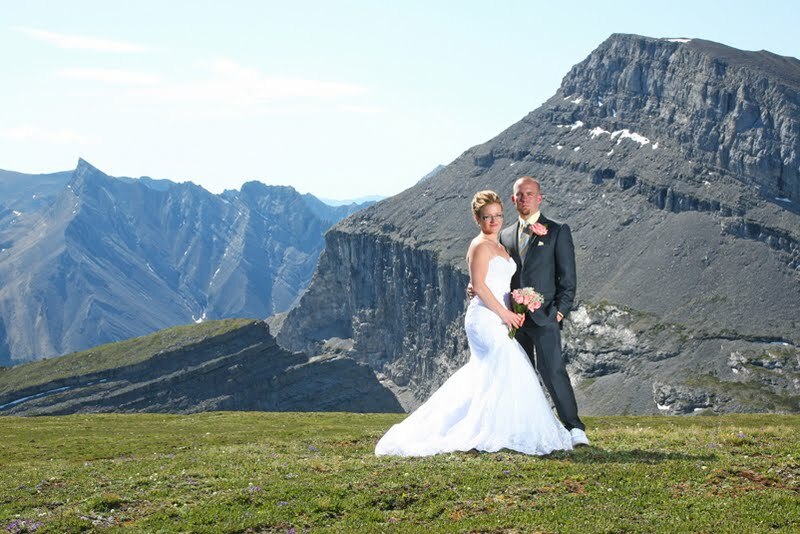 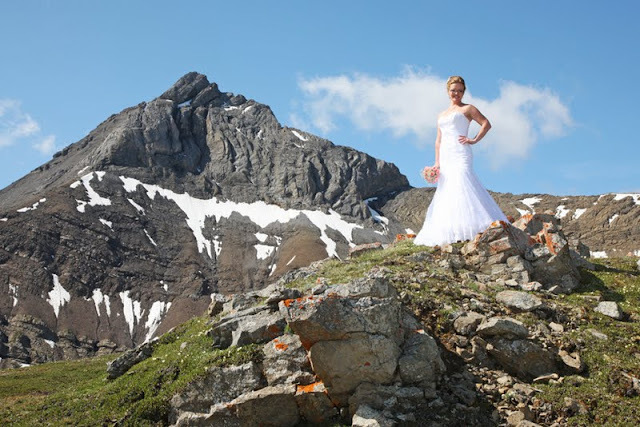 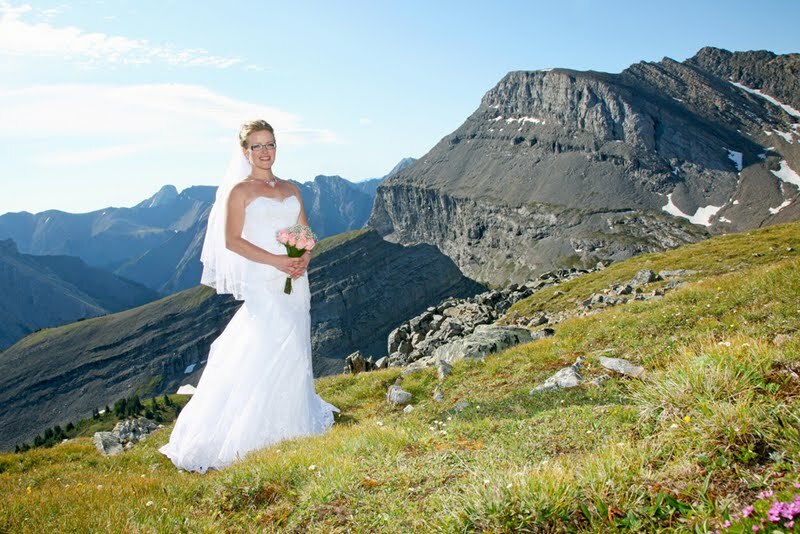 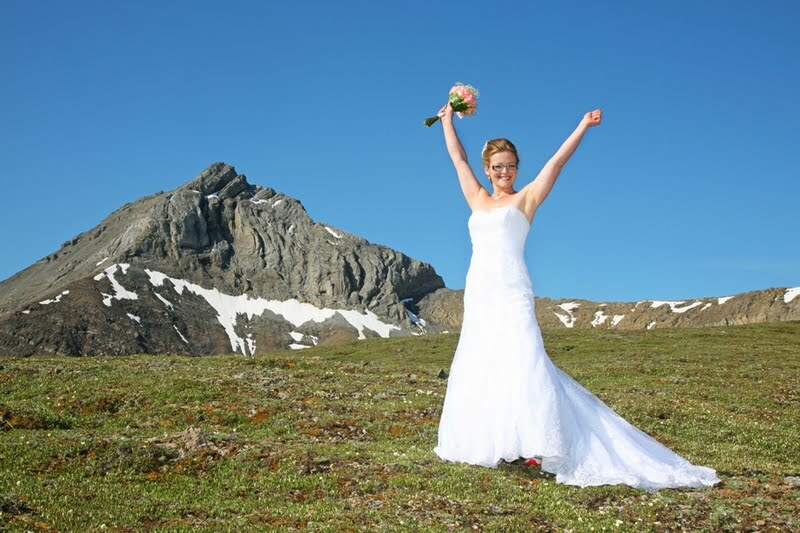 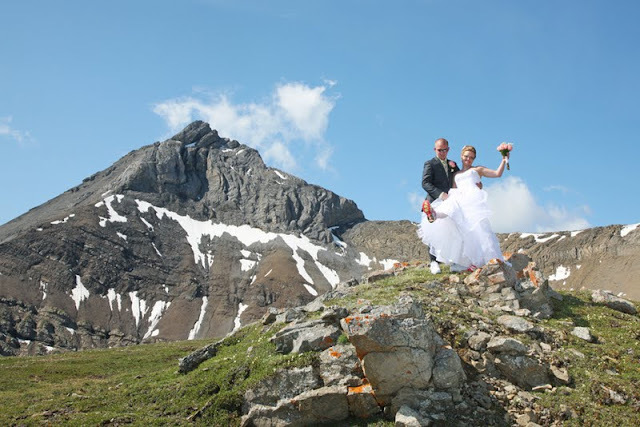 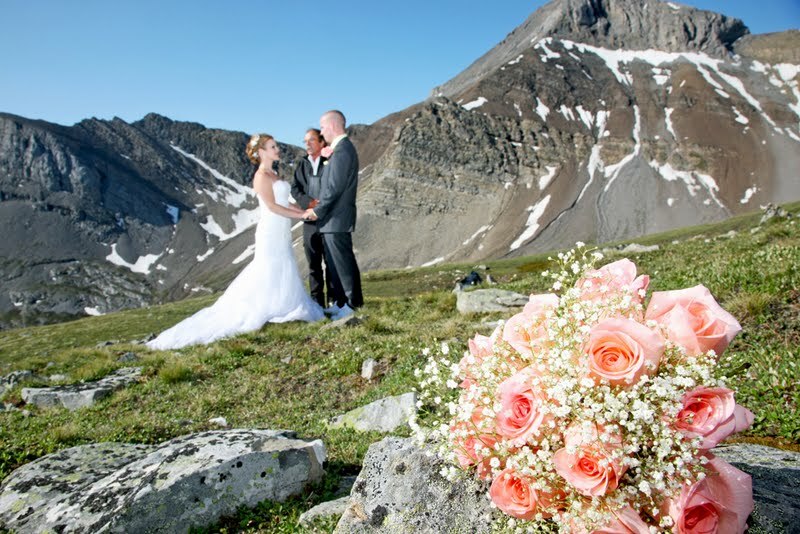 Top of a Mountain and have a Heli Wedding! 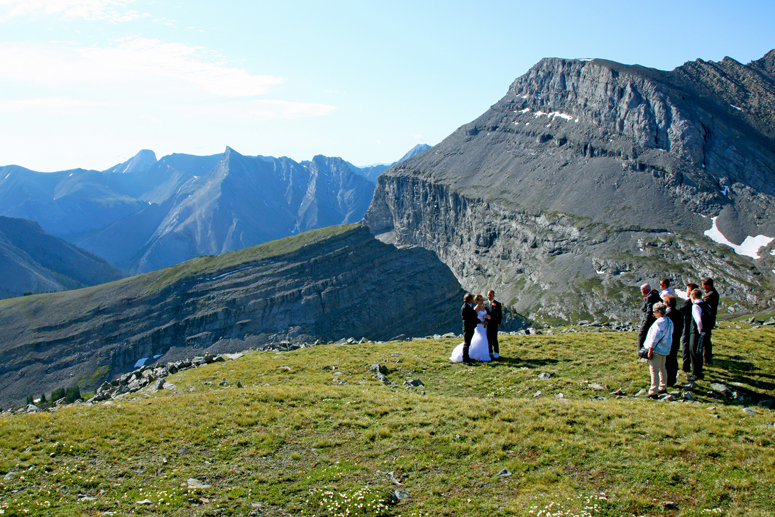 The views are always Spectacular! 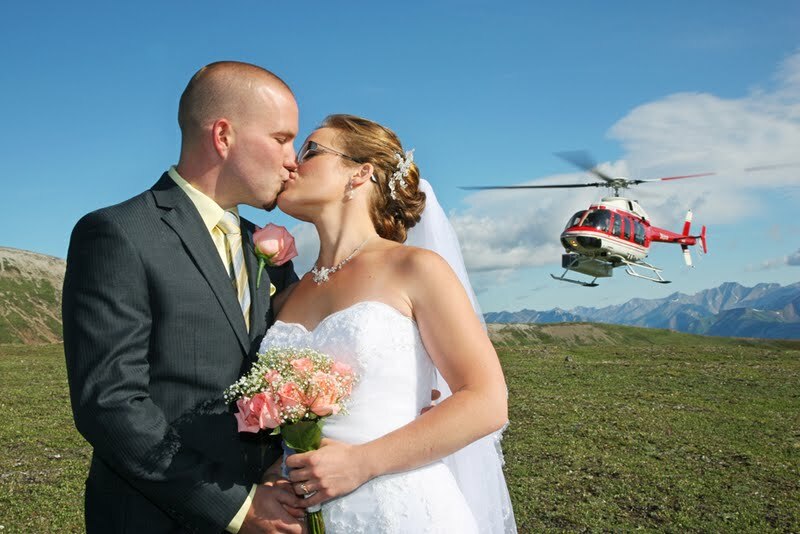 The weather was amazing with a bright blue sky. 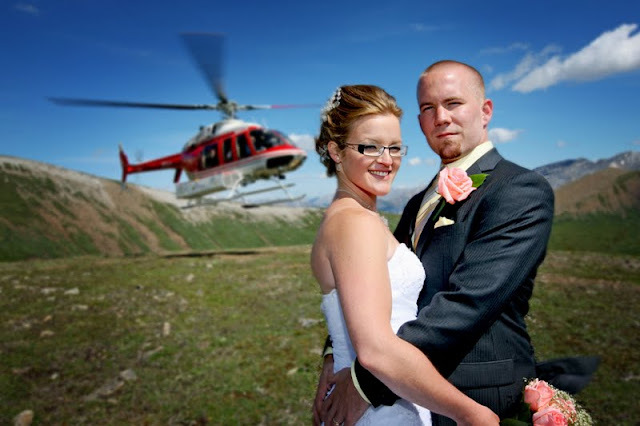 We always fly with Alpine Helicopters in Canmore, they have an outstanding safety record. 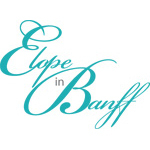 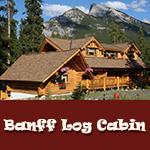 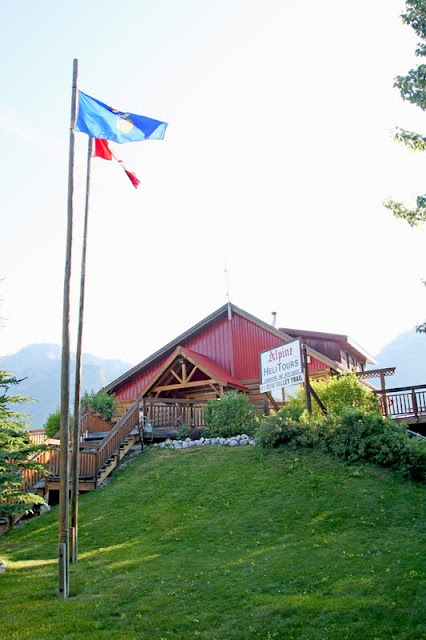 There are no extensive travel times, as they are located right in Canmore. 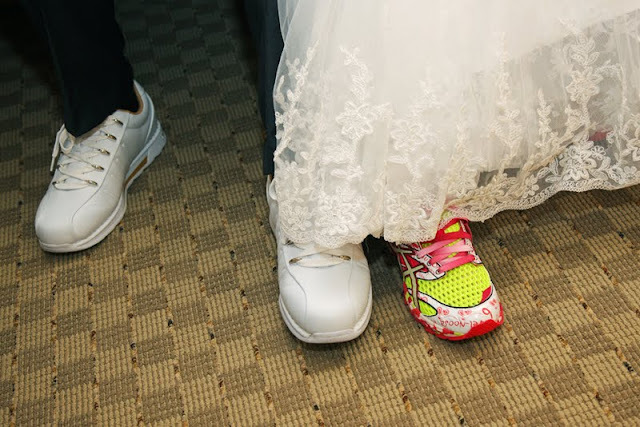 Sensible shoes - and stylish too! 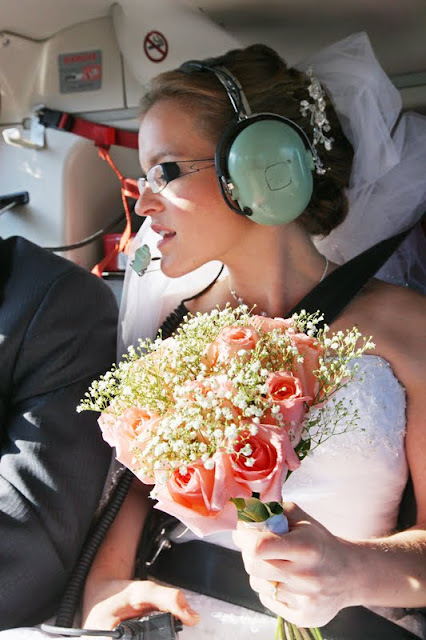 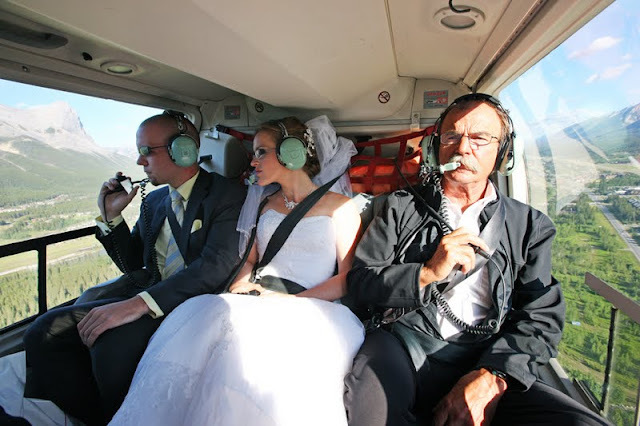 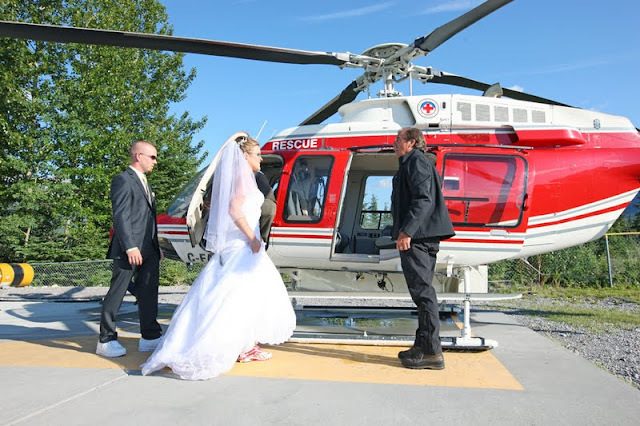 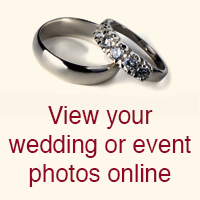 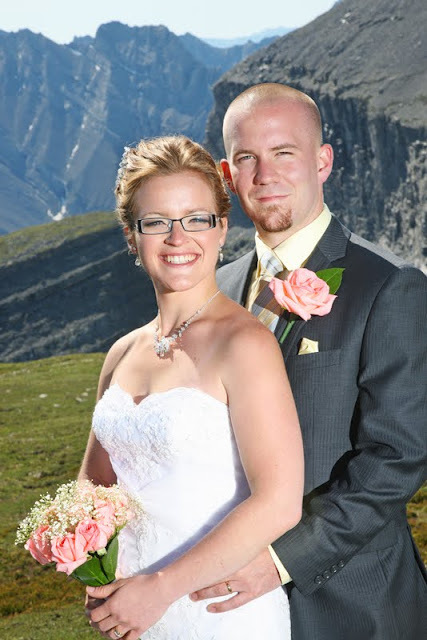 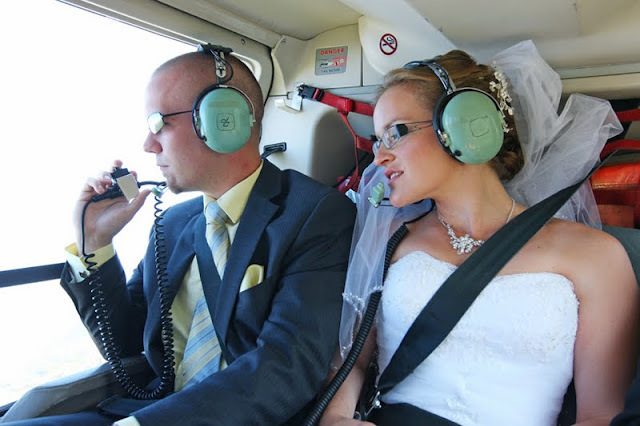 Rick Kunelius organises Heli Weddings. Rick Kunelius is the only Marriage Commissioner qualified perform a heli wedding ceremony without requiring an additional guide. 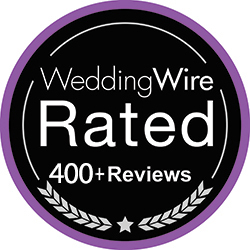 This means there are more seats available for your guests. 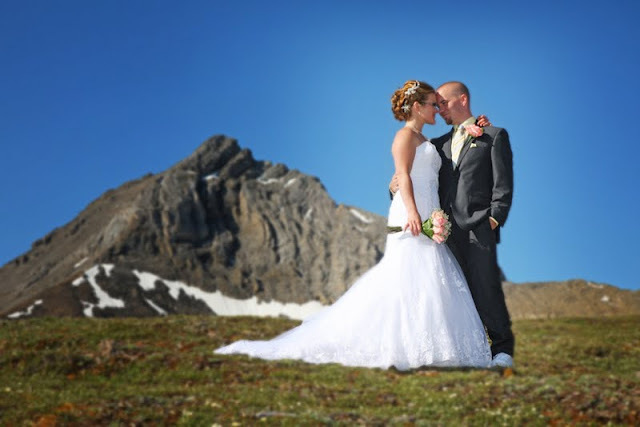 Congratulations to Fanny & Matthew! and letting us document your very exciting day.